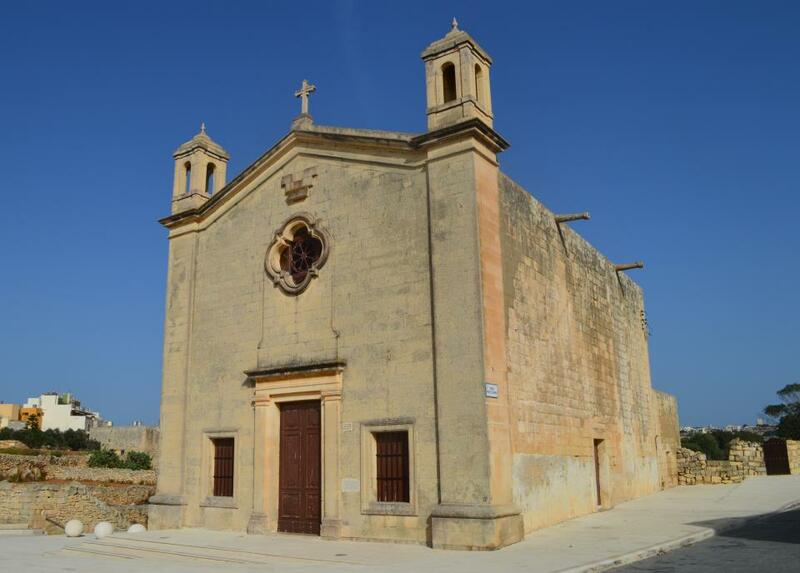 Ask for St. Matthew’s Chapel, the one situated in Qrendi, and you will be met with more than a few blank faces. Mention Il-Maqluba, however, and all that changes. The simple truth is that this chapel, like many others, has become synonymous with the name of the area in which it is built. Surrounded as it is with fields, the chapel makes a good starting point for a nice walk in the countryside or, if the weather isn’t agreeable, a good spot to park the car and have a bit of lunch. Yet what makes this such an intriguing place is that name; il-Maqluba. Translated, it means overturned and refers to a large crater one whose edge the chapel is built. The crater – actually a sinkhole - formed in the middle of the fourteenth century when a severe storm resulted in the collapse of a cave and the limestone strata that made up its roof. Eventually, this natural event was turned into a myth, one that told of a village that was living in sin. God, through a good woman, sent a message to its inhabitants warning them to change their ways. Of course, they did not heed this warning and, as punishment, the whole village was swallowed up by the earth with only the good woman being spared. Then, the legend goes on to say, god sent angels to dig up the remains of the village and throw them into the sea thus forming the islet of Filfla. That St. Matthew’s Chapel is built here is, of course, not coincidental. Indeed the chapel – which is actually made up of two chapels joined together where the oldest one, that closest to the sinkhole, being one of the oldest on the island – was probably built here to ward off any evil spirits that had remained in the area. Want to visit the Chapel of St. Matthew? Here are the directions.